Thanks to the various electronic gadgets available for drivers today, such as GPSs (global positioning systems), mobile phones and other devices, driving is much simpler than it was years ago. On the other hand, modern technology has also been detrimental because it often causes distractibility while driving. As a result, more and more traffic accidents have occurred, with some of them involving fatalities. Tragically, each day, about nine Americans lose their lives from distracted driving crashes, with over 1,000 more suffering from injuries. Simply put, distracted driving is driving while being preoccupied with other actions besides driving, such as talking on a cell phone, texting and other distractions that can divert a driver’s focus away from the road. 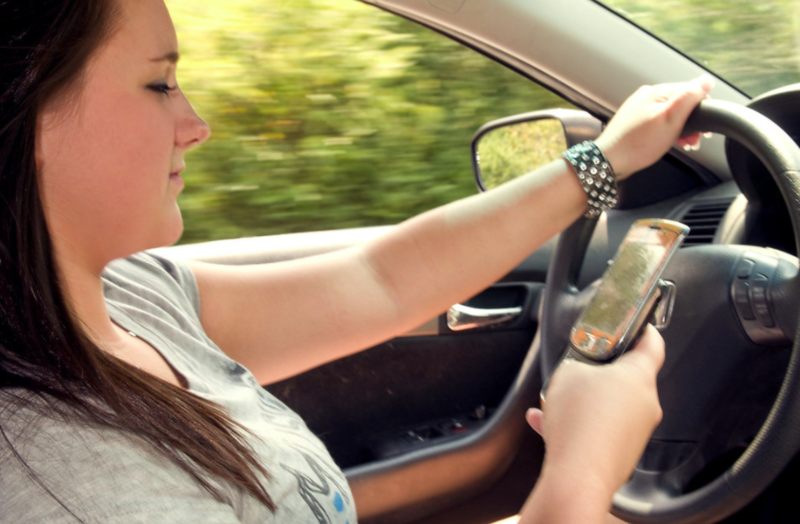 This growing problem has led to states enacting distracted driving laws. Here’s what you need to know about the three types of distracted driving laws and how an online traffic school is beneficial. All Cell Phone Use—Although no state prohibits using cell phones while driving for all drivers, there are 38 states, along with D.C. (District of Columbia), that ban cell phone use by novice or beginning drivers. Also, D.C. and 20 states prohibit school bus drivers from using cell phones. Using Hand-held Mobile Phones—There are 15 states as well as D.C., Guam, Puerto and the U.S. Virgin Islands that ban all drivers from the use of hand-held mobile phones when driving. Hand-held cell phone laws are known as primary enforcement laws and pertain to when a police officer is allowed to cite a driver for using hand-held cell phones when the driver is not breaking any other type of traffic law. Text Messaging While Driving—The state of Washington led the way in being the first state to pass a ban on texting while driving, which was in 2007. Today, 47 states and D.C., besides Guam, Puerto Rico and the U.S. Virgin Islands, have followed in Washington’s footsteps in prohibiting text messaging for all drivers. Two of the three states that don’t have a ban on all driver texting do prohibit novice drivers from text messaging. Basically, there are three primary forms of driving distractions. Cognitive distraction refers to when drivers aren’t mentally focused on driving but are preoccupied with other concerns. Visual distractions are when drivers take their eyes off the road and look at distractions, such as a radio, or check to see if a child’s seat belt is buckled. Manual distractions occur when drivers remove one or both their hands from the steering wheel for whatever reason, such as drinking, eating or grabbing an item from a bag. The main cause of distracted driving is being lost in thought as this problem accounts for 62 percent of driving fatalities. This entails drivers allowing their minds to drift which can lead to a collision and result in death. Cell phone use, which causes 12 percent of deaths, is the second leading cause of traffic deaths linked with distracted vehicle accidents. The third top reason for drivers getting distracted is drivers gawking at an object, person or happening that takes place outside of their cars. About 7 percent of accidents are caused by this problem. Additional causes include interactions with other occupants, using or trying to access items in a vehicle, eating or drinking, adjusting temperature controls, audios or other devises to operate a vehicle, moving objects and lighting a cigarette. Know the particular distracted driving laws that pertain to your state. Regardless of how long you’ve been driving, you should never get to the point where you feel too complacent or comfortable when behind the wheel. In fact, complacency is the main reason for drivers thinking they can take their focus off the road. Fatigue, frustration and rushing are common factors for drivers failing to focus on the road. Even sending a simple, one-word, text message, such as “yes,” can put you at risk for accidents. Because texting while driving entails all three forms of driving distractions, it’s especially hazardous. Instead of setting up your GPS while driving, program it before leaving for your destination. Sometimes, even the best drivers get traffic citations. To learn more about Traffic School Online and how our online traffic school can help in reducing insurance costs and dismissing traffic citations, please contact us.